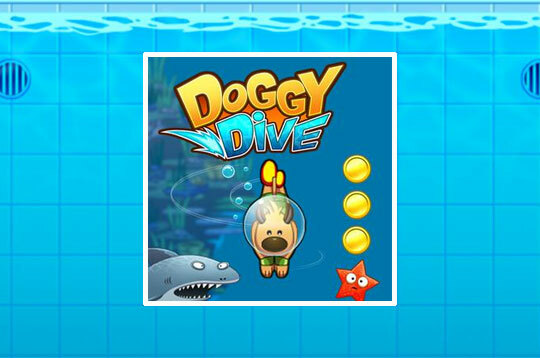 Venture into this fantastic underwater world in Doggy Dive. Your goal in the game is to dive as deep as possible by collecting coins and collecting air bubbles. Be very careful with the obstacles you encounter on the way like poisonous jellyfish, sharks and pufferfish. Have fun! - Play Doggy Dive Free and Enjoy!